In the modern world, we all have become very self-sufficient. We want instant action without depending on others. The concept of Zoomcar has been drawn from that idea. You can use self-drive cars here no matter wherever you go around the country. The headquarters is located in Bangalore. David Back and Greg Moran established this company in 2013. Zoom cars are available in around 27 cities, all over the country. This rental service has become very popular within a short period. It gives you the full independence while traveling. Zoom cars are available in most of the big cities of our country. You can easily rent a car whenever you want. 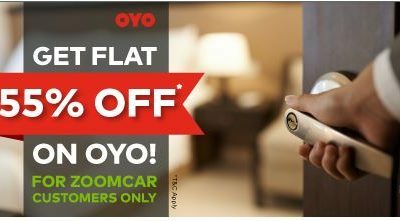 Zoomcar Bangalore, Zoomcar Mumbai, Zoomcar Delhi, Zoomcar Hyderabad, Zoomcar Pune, etc. are some of the best services in India. You can also ask for rental cars in Goa. Besides the excellent service, you can even get exciting offers while booking. 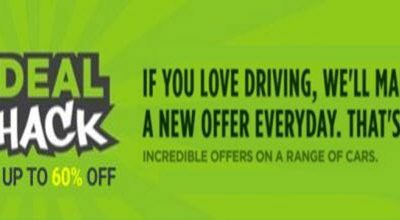 Zoom car is giving exciting discount offers to its customers. Now there is a chance to save money while traveling. They are trying very hard to make your travel experience memorable. 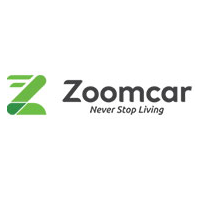 All the Zoomcar offers are also available at the website Meramaal. By using the coupon code available at Meramaal you can get a significant discount at the time of booking Zoom cars. Various coupons from all other websites are also available here. Browse the site to keep yourself updated. Zoom car doesn’t charge any extra amount for fuel. All the cost is included in their rental charge. There is no space for any hidden fees. This car service has all India Permit. So you can go anywhere you want with Zoomcar. You just have to pay the toll taxes from your pocket. All-time assistance is also available. If you are in trouble, you can easily contact the customer service for help. The insurance cost for any damage is also included in the total amount. Drive without worry with the rental cars of Zoomcar service. You have the opportunity to book the car even for a long term. It is indeed a rare service by any car rental company. Zoomcar is very much concerned about the needs of their customers. Everybody has a requirement which is different from others. Keeping in mind the need for all, they have kept a vast range of variety of cars as rental cars. You can book SUV or a sedan or even a mini vehicle as per your choice. First of all, you have to choose the car as per as your preference. Then you have to deposit the security money and upload the license of the driver. Zoomcar will send you a message including the details of the car. By using the Zoomcar app, you have to fill the checklist and get the keys at glove box. Now you are ready to go for a long drive. Along with that don’t forget to log in via Meramaal to receive latest discounts.